Home / غير مصنف / MH370 latest news: Did ‘HACKERS’ unlock cockpit and SUFFOCATE passengers? 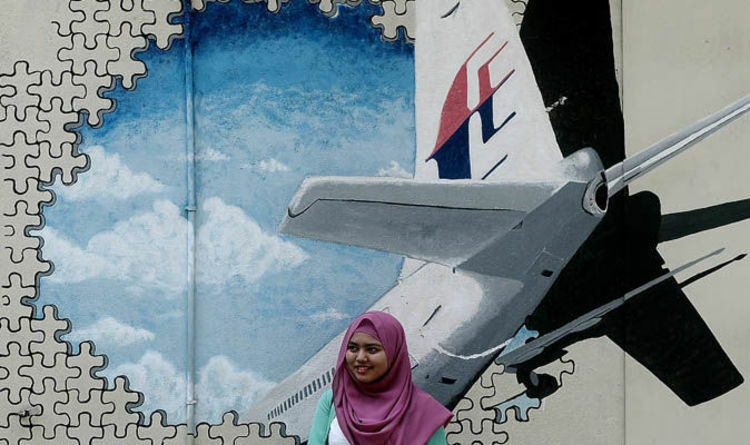 MH370 latest news: Did ‘HACKERS’ unlock cockpit and SUFFOCATE passengers? A new theory into the disappearance of flight MH370 claims that hijackers could have unlocked the cockpit door and suffocated those inside the plane by depressurising the cabin. The new theory emerged just a few months after a final report into the disappearing jet failed to make clear why the plane had vanished. MH370 disappeared in March 2014, along with the 239 passengers and crew onboard. Aviation expert Jeff Wise who regularly appears on CNN told The Daily Star Online that hackers could have indeed targeted the plane. The author told Daily Star Online: "I think it's hard to control 300-odd people. "But it would be a fairly straightforward thing to depressurise the plane and let the people suffocate. "The idea is that if you get into the electronics bay, and you have access to computers that control the plane, you can do things like unlock the cockpit door. "You can unlock the cockpit door from the electronics bay. “If there's a hijack's underway the captain is going to lock the cockpit door. "But if the captain is no longer in control of the plane, he's not in a good position." Mr Wise’s suspicions hinge on the fact the Boeing 777-200’s transponder was switched off as it flew into Vietnamese air control. However, it later issues a number of "pings" with an Inmarsat satellite when the Satellite Data Unit (SDU) had rebooted, according to the Australian Transport Bureau. Mr Wise who authored the book The Plane That Wasn't There: Why We Haven't found Malaysia Airlines Flight 370, has asked for the Inmarsat data be re-examined. He continued: "Can you assure me that the Inmarsat data, upon which you've been basing your search, has not been tampered with? "I would say not, you cannot tell me how that box was turned off, no one can explain how that box came to be turned back on. "I would say it cannot happen accidentally, and that to do it deliberately requires a sophisticated understanding of electronics. "I hope investigators can look at this scenario and address: is this possible, that somebody could have performed this tampering I have described? Just address it. "I say the electronics bay is accessible by an unlocked hatch. “If they could say no, the hatch was locked, or we know the box does not work that way that would be powerful evidence."